MUNCY — Despite a very cold few weeks, construction is moving along as scheduled at the site of the new Cole’s Hardware location in Muncy. The new pre-manufactured steel building is beginning to take shape. The new Cole’s location will be the twelfth hometown hardware store for the company. T-Ross Brothers Construction has built most of the Cole’s Hardware locations and remodeled several of them. The new store should be completed in the Spring and is located at 130 Muncy Creek Boulevard. 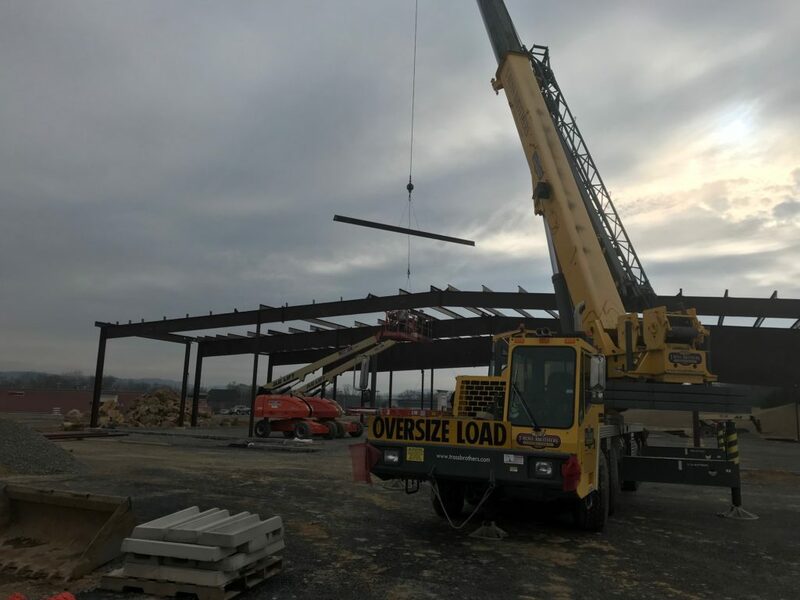 The post A new Cole’s Hardware store is taking shape in Muncy appeared first on T-Ross Brothers Construction, Inc..